Headlies: TNA Resurrects "Silent Night, Bloody Night" Match - WrestleCrap - The Very Worst of Pro Wrestling! Nashville, TN – On the heels of the King Of The Mountain match returning at Slammiversary, TNA officials have decided to also resurrect the “Silent Night, Bloody Night” match. Often labeled one of the worst gimmick matches in wrestling history, TNA’s lone “Silent Night, Bloody Night” match occurred in at a 2007 Christ Eve edition edition of Impact. The match, technically a 4-way between Abyss, Shark Boy, Rellik (that’s “Killer” spelled backwards) and Black Reign, contained weapons wrapped like presents, glass, and a barbed-wire Christmas tree. The crowd of reporters murmured amongst themselves. John Gaburick quickly whispered something in Dixie’s ear. “What? Not real?” said Carter, his eyes beginning to well-up with tears. “Uhhh, what he means is that this Christmas in July will be totally unreal! Great thinking, boss!” said Josh Matthews. 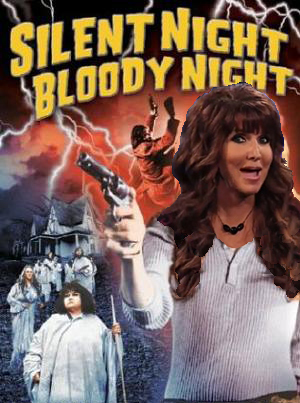 3 Responses to "Headlies: TNA Resurrects “Silent Night, Bloody Night” Match"
This is one of the greatest Headlies ever. Dixie’s Christmas in July explanation had my eyes tearing up from laughing. Why did Shark Boy have to be in this match? Out of all the wrestlers listed I prefer him over the rest of them. 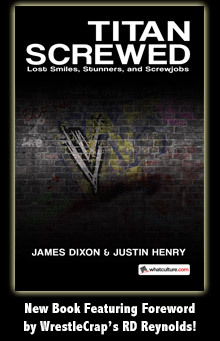 I see the WrestleCrap manual of style has continued to require the explanation of Rellik’s name. Well done.